The problem with pulling out of TPP so abruptly is that China is already waiting with its own Asia/Pacific trade pact, the Regional Comprehensive Economic Partnership, a proposed free-trade pact that would incorporate many of the Asian TPP parties, including Australia, New Zealand, Malaysia, Brunei, Japan, Vietnam and Singapore. But it also includes Cambodia, Indonesia, Laos, Myanmar, the Philippines, Thailand, South Korea and, most striking of all, India and China, the two most populous countries in the world. RCEP negotiations launched in 2012 at a summit of the Association of Southeast Asian Nations, and the 16 prospective RCEP states account for around 3.4 billion people and fully 30% of global GDP. With the TPP’s impending demise, China has already indicated that RCEP could welcome Latin American countries as well. Instead of abdicating a role for the United States in the Pacific rim, many of us hoped that the Trump administration would seek to renegotiate the TPP’s terms to provide for greater protections for US workers, US consumers and the environment. No trade agreement is perfect and the TPP had its share of problematic aspects, from dispute resolution to lollipops for the pharmaceutical industry. In contrast to Trump’s apocalyptic language, the US International Trade Commission released a study last May that projected that by the year 2032, TPP could increase US annual real income modestly (by $57.3 billion), boost both US exports (by 1.0%) and US imports (1.1%), bring about up to 128,000 new jobs. Though the study showed that, over its first 15 years, TPP would reduce output in manufacturing, natural resources and energy by $10.8 billion, it would increase output in the services sector by $42.3 billion. But the wider impact of TPP would be to bring developing countries like Vietnam (with over 90 million people) and Malaysia (with over 30 million people) more fully into the integrated global trade system, building a larger global middle class and, ultimately, a larger consumer base for American goods and services. Though Trump officials have stressed their preference for bilateral trade deals between the United States and a single country, it’s hard to see how 11 separate bilateral deals could bring the same impact as TPP, to say nothing of its counterpart weight to RCEP. If finalized, RCEP would force even traditional US allies like Australia and Japan to hew to a set of Asia/Pacific trade rules significantly influenced by China, with no input from the United States. Even worse, by pulling out of the TPP, Trump has essentially ceded China a sense of primacy in Asia/Pacific trade, with no counterbalancing set of US-influenced trade rules. Increasingly, that means that the United States may have to adapt to RCEP standards when it trades in the region. Those rules will not privilege any US parties or interests — not American consumers, not American corporations, not American workers, not American environmental or health or safety standards. Predictably, many Republicans lined up to denounce Trump’s decision earlier today, including Arizona senator John McCain, an internationalist stalwart and the party’s 2008 presidential nominee. 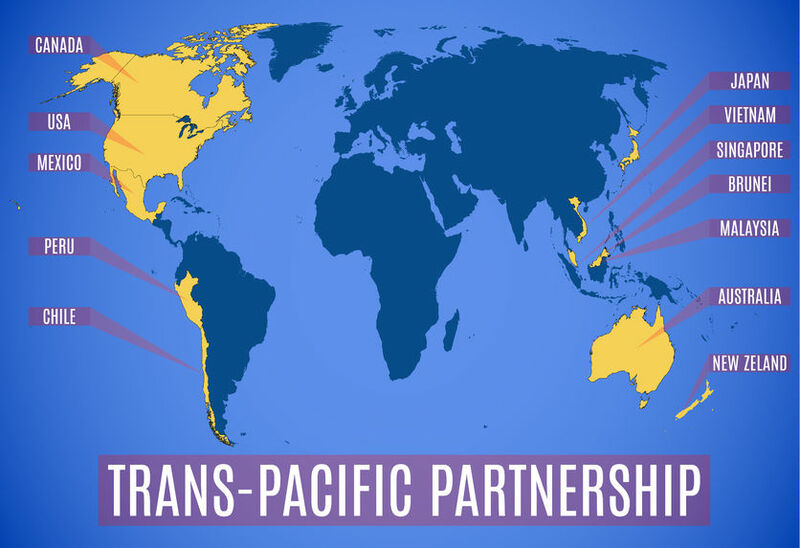 TPP is typically characterized as one of the chief policy pushes of the Obama administration, and that’s true, but its genesis dates to 2005, when Brunei, Chile, New Zealand and Singapore started four-way negotiations. The United States joined those talks in 2008 during the Bush administration as part of a broader concept of a trade deal across the Pacific rim. Sanders opposed the TPP in the 2016 campaign because he argued that it would perpetuate a ‘race to the bottom’ that will lower wages and regulatory standards in the United States. Hillary Clinton, who defeated Sanders for the 2016 Democratic nomination, opposed the TPP, though she championed it during her stint as secretary of state in the first term of the Obama administration and even once called it the ‘gold standard’ of trade agreements. Trump’s move comes a week after Chinese president Xi Jinping broadly defended international trade and globalization in a first-of-its-kind address at the World Economic Forum in Davos, Switzerland. Trump today also indicated that he will move quickly to renegotiate the two-decade free-trade pact with Canada and Mexico, the North America Free Trade Agreement, though that may meet even deeper resistance from Congressional Republicans. Like the TPP, NAFTA won broad bipartisan support as an accord that chiefly negotiated by Republicans in the George H.W. Bush administration and finalized in 1994 by Democrats in the Clinton administration.